While many fabrics and materials attempt to mimic its characteristics, nothing compares to genuine leather. Whether it’s a handbag, belt, jacket, wallet or even shoes, leather offers the perfect combination of style, comfort and quality. However, if you’re going to invest in a genuine leather product, you should be prepared to clean it on a regular basis. Failure to clean your leather on a regular basis will result in its gradual degradation. 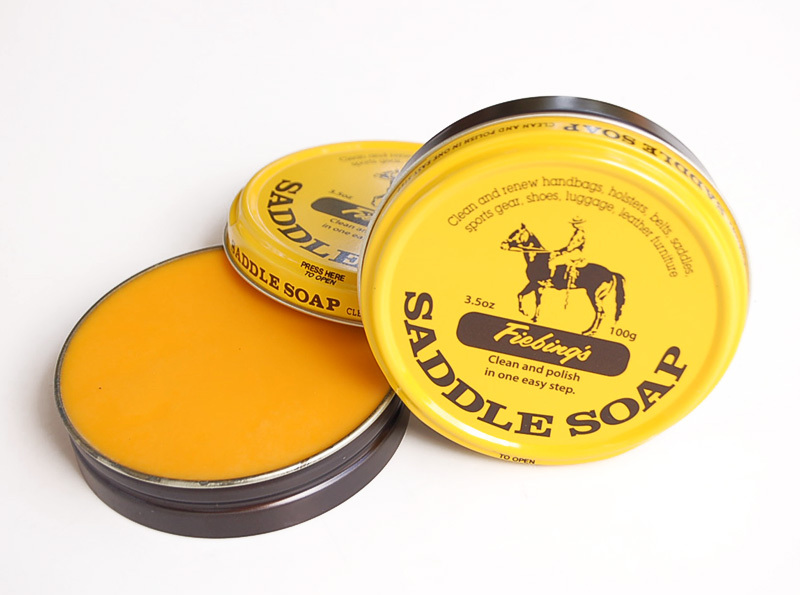 Saddle soap is arguably the best leather cleaning product available on the market. It’s made of several different ingredients, including neatsfoot oil, glycerin, lanolin and beeswax. As the name suggests, it’s used primary for cleaning saddles and other leather-based horse tack, but it can also be used for leather garments. Before we start, you’ll need to pick up a few basic items. This includes some saddle soap (sold at most horse and tack stores as well as various general goods stores), a washcloth, and a light-bristle scrub brush. It’s important to note that the exact steps to using saddle soap will vary depending on the product you are cleaning. If you are cleaning a pair of leather boots, for instance, you’ll want to scrub them vigorously to remove any hardened dirt. But if you’re cleaning a leather jacket, you’ll want to take a more cautious approach to avoid any accidental damage. Be conscious of the garment you are cleaning and make the necessary adjustments to prevent any damage. When you are ready to begin, first wipe down your garment with a damp — not soaked — washcloth. The purpose in doing so is to remove dust and dirt that’s settled on the surface. This isn’t going to completely clean the leather, but it will remove some of the surface dirt. Next, rub a small amount of saddle soap into a separate, clean washcloth. Using this washcloth, apply the saddle soap throughout the leather, rubbing it by performing a clockwise motion. As you do this, the saddle soap should settle into the leather, at which point it will no longer be visible. If there’s any remaining saddle soap on your leather, go back over it with a clean washcloth to remove it. Assuming you use a “normal” amount, however, it should soak into the leather, helping to condition and clean it. Sorry if you were expecting more, but that’s all it takes to clean leather using saddle soap!